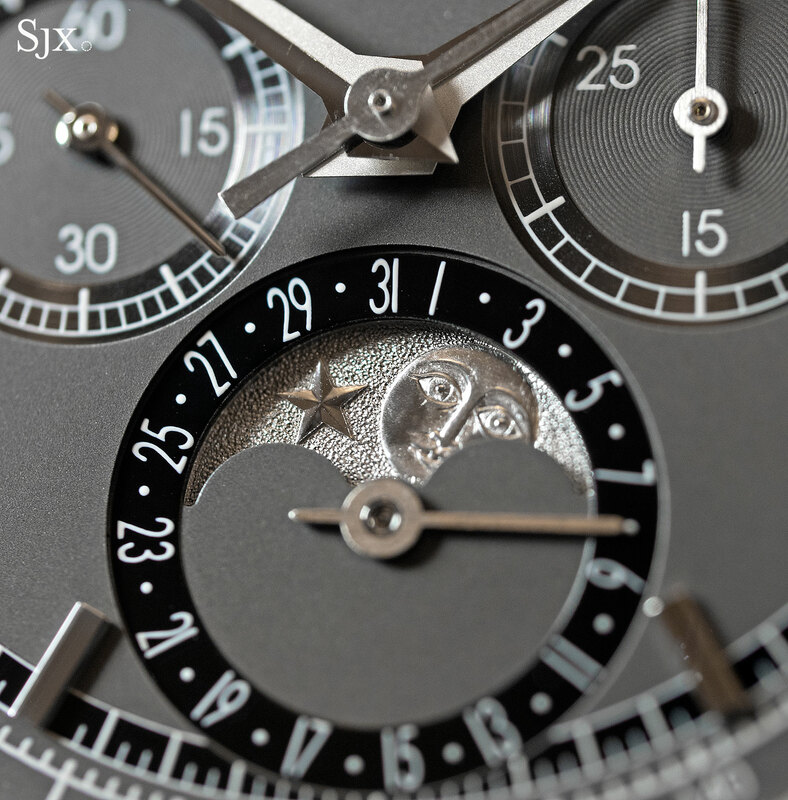 The Geneva watchmaker unveils a slew of complex, and sometimes artistic, mechanical watches. 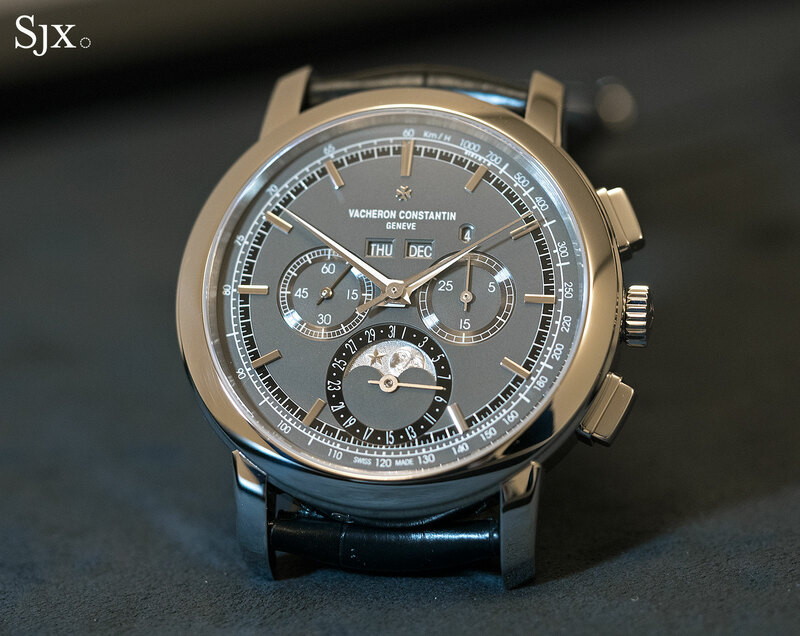 Vacheron Constantin‘s line-up at SIHH 2017, even more so than any of its peers like A. Lange & Söhne or Audemars Piguet, was stacked with high-end complicated timepieces, including its first ever grand sonnerie wristwatch. The brand’s chief executive is retiring later this year, and is certainly going out in a blaze of glory. 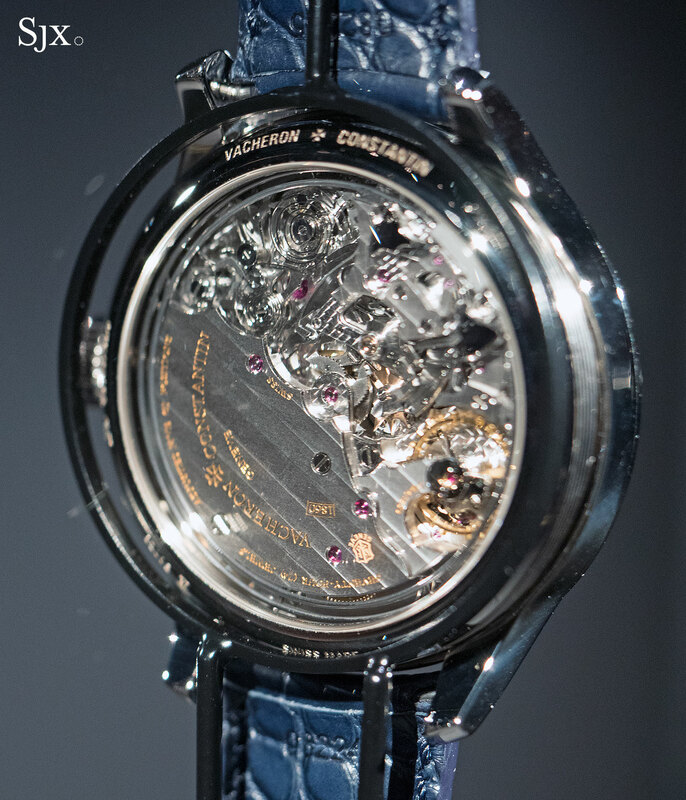 The flagship complication was undoubtedly the Les Cabinotiers Symphonia Grande Sonnerie 1860. It chimes the time as it passes, on every quarter and hour, much like a longcase grandfather clock. A large 45mm in diameter, the Symphonia Grande Sonnerie is made to order, with the dial design and various other details being customisable. 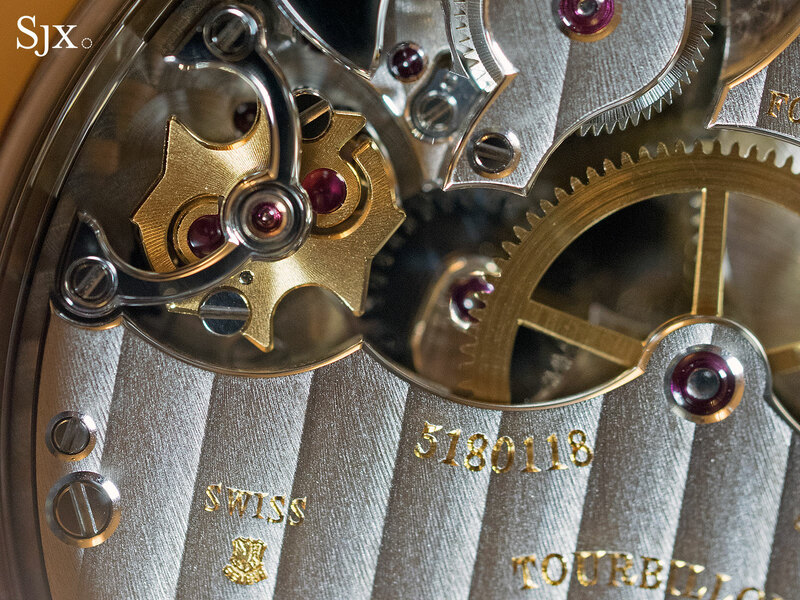 The calibre 1860 inside is hand-wound with barrels, one each for the time and striking mechanism. 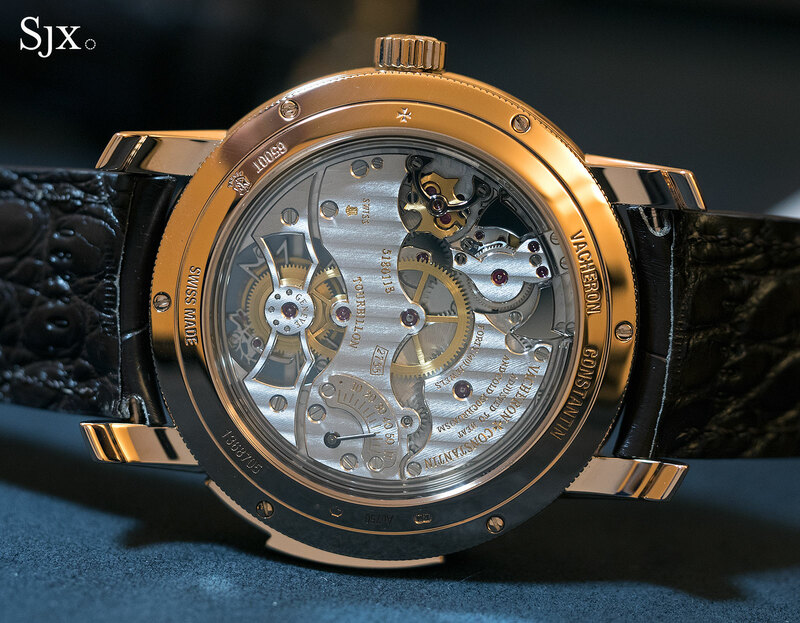 Notably, the movement is similar that inside the Greubel Forsey Grande Sonnerie, which was launched at the same fair. The Symphonia Grande Sonnerie 1860 starts at SFr1.15m. 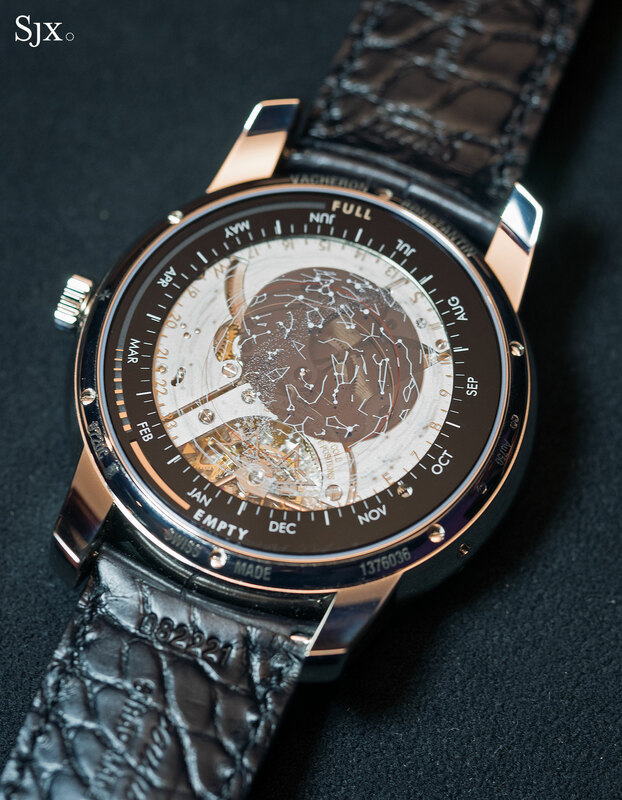 Announced just before SIHH, the Les Cabinotiers Celestia Astronomical Grand Complication 3600 is another million-dollar creation. 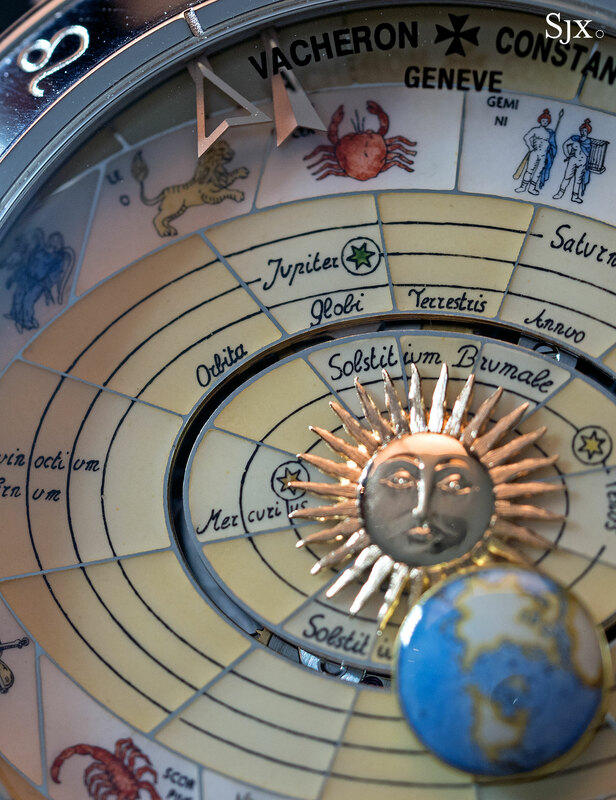 Twenty three complications – all astronomical indicators – are displayed on two faces on the front and back. The front shows civil time and solar time. A pair of Breguet hands indicate the former, which is the normal 24-hour time shown on watches. 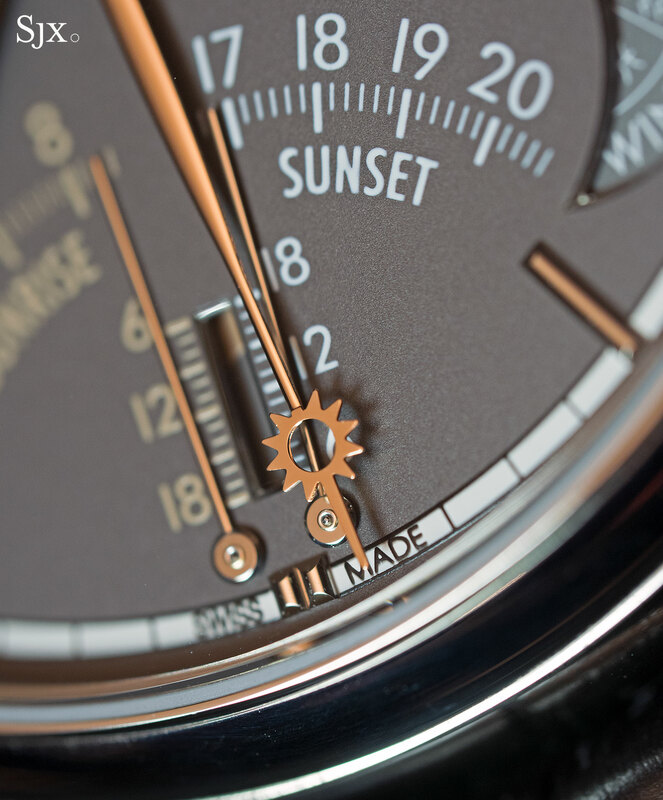 Solar time is indicated by a sun-tipped minute hand that shows the time according to the motion of the Earth around the Sun, also known as the equation of time. Over the year, that ranges from -16 to +14 minutes compared to the standard 24-hour day, due to the Earth’s elliptical orbit. 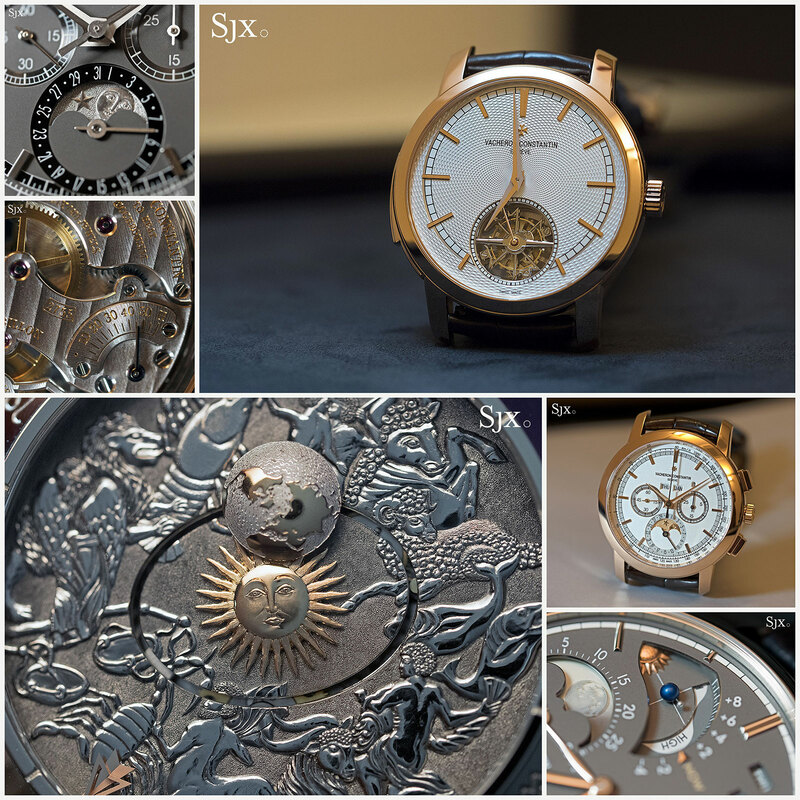 The dial on the front also includes a perpetual calendar, a mareoscope or tide indicator at 11 o’clock, sunrise and sunset times at five and seven o’clock, as well as an aperture showing zodiac signs, seasons, solstices and equinoxes at four o’clock. 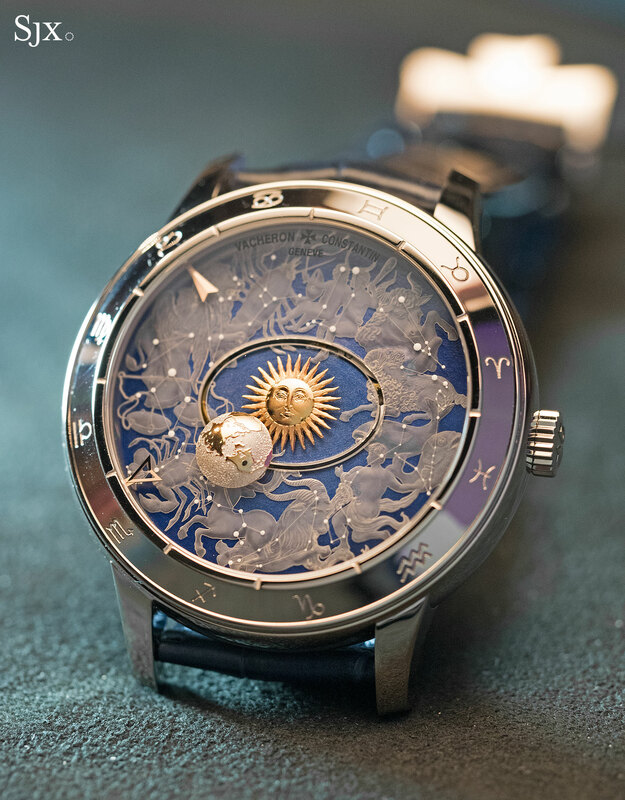 Equipped with two sapphire discs on top of each other, the back mainly concerns itself with a star chart that shows the night sky seen from the Northern Hemisphere. 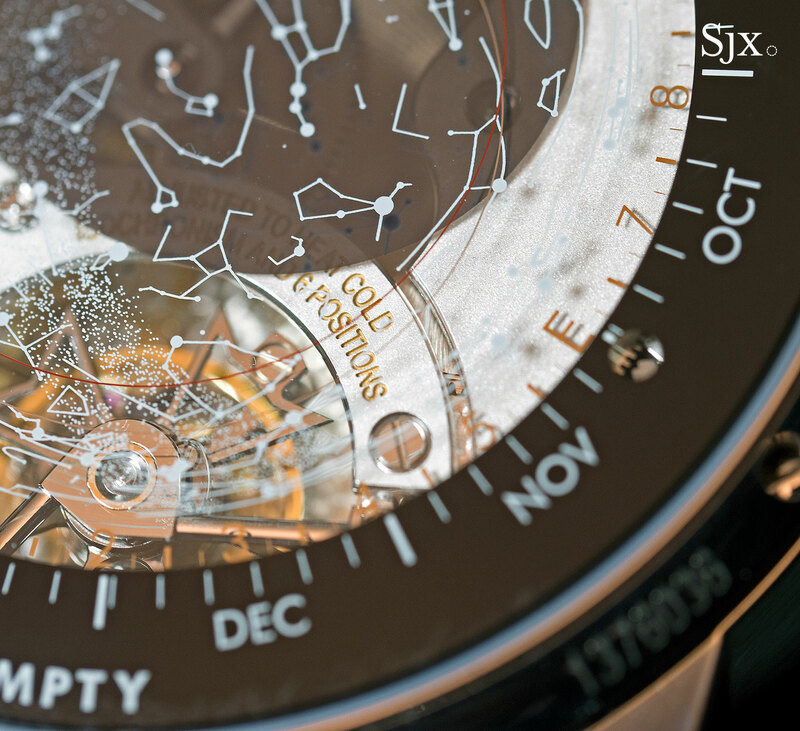 It also shows the month of the year, power reserve on the edge of the case back, as well as the time according to Earth’s movement relative to the stars, also known as sidereal time. To accommodate all of those complications, the case is an inevitable 45mm in diameter and a surprisingly slim 13.6mm high. Made up of 514 parts, the calibre 3600 inside is 8.7mm high. It has six barrels, giving the watch an impressive 21 day power reserve, making the slimness of the movement even more impressive. 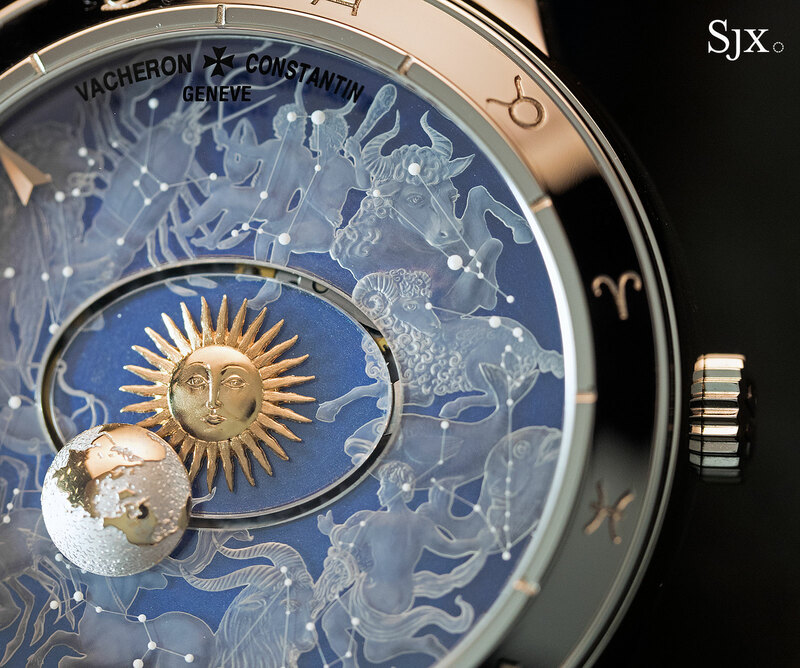 The Les Cabinotiers Celestia Astronomical Grand Complication 3600 is a one-off creation intended to show off Vacheron Constantin’s watchmaking prowess, but can also be made to order as a custom timepiece. It costs about SFr1m. 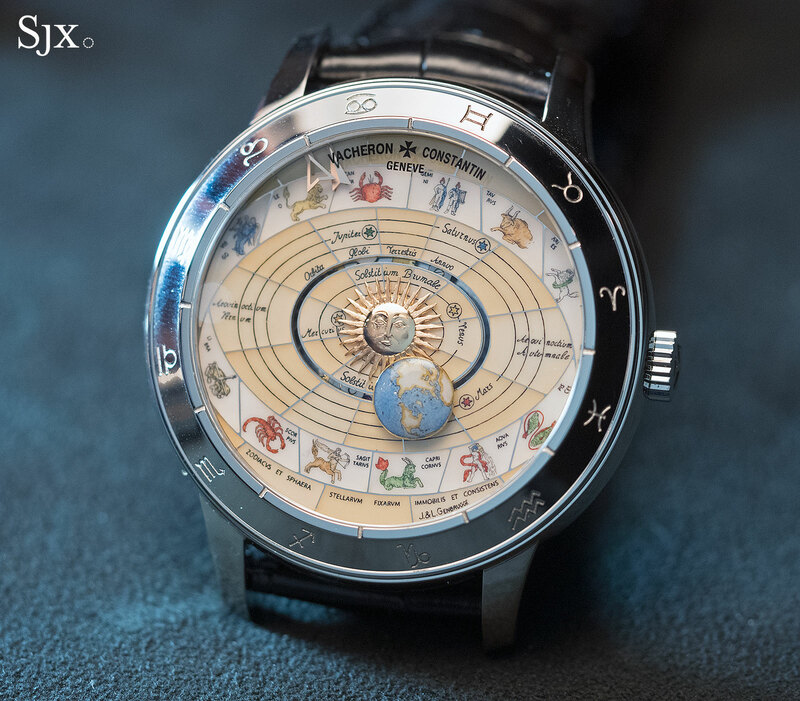 Continuing with the astronomical theme, Vacheron Constantin also introduced the Métiers d’Art Copernicus Celestial Spheres 2460 RT. This is actually a trio of watches, featuring the same complication and powered by the same movement, but having differently, but finely, decorated dials. Named after the Renaissance astronomer, the Copernicus Celestial Spheres indicates the time with a pair of arrows on the edge of the dial. These travel along a track under the bezel, driven by gears on the edge of the movement. 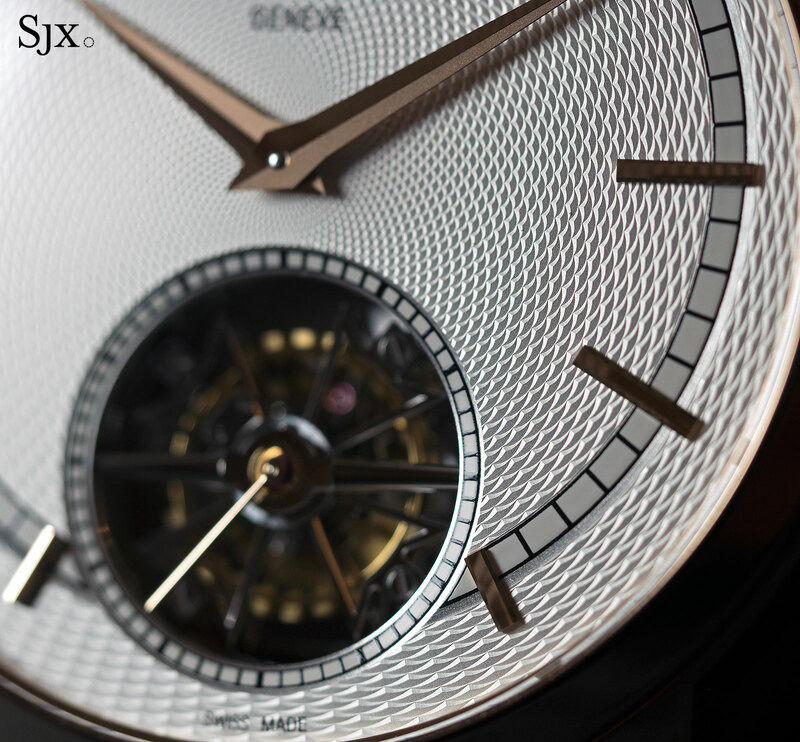 Almost invisible against the intricately decorated dials, the hands are a mere accessory. They are positioned so as not to obscure the elaborately decorated dials. 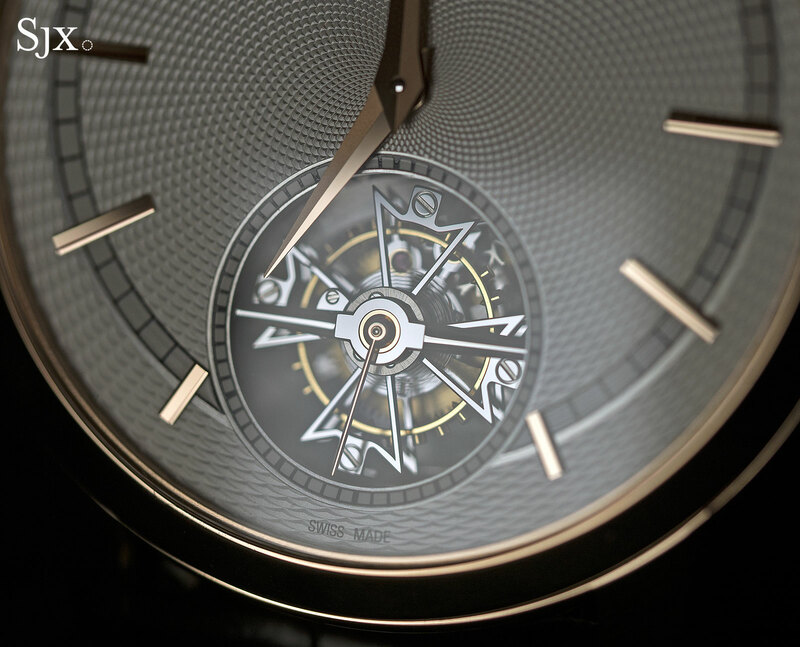 All three versions of the watch have a Sun made of 18k yellow gold in the centre of the dial, with the Earth making an elliptical orbit around it. Moving in real time, the Earth takes 365.24 days to complete one revolution around the Sun, while rotating on its own axis on a 24-hour period, as it would over one day. The mechanism is precise enough that a full day’s error in the Earth’s orbit around the Sun will only be reached in 8000 years. 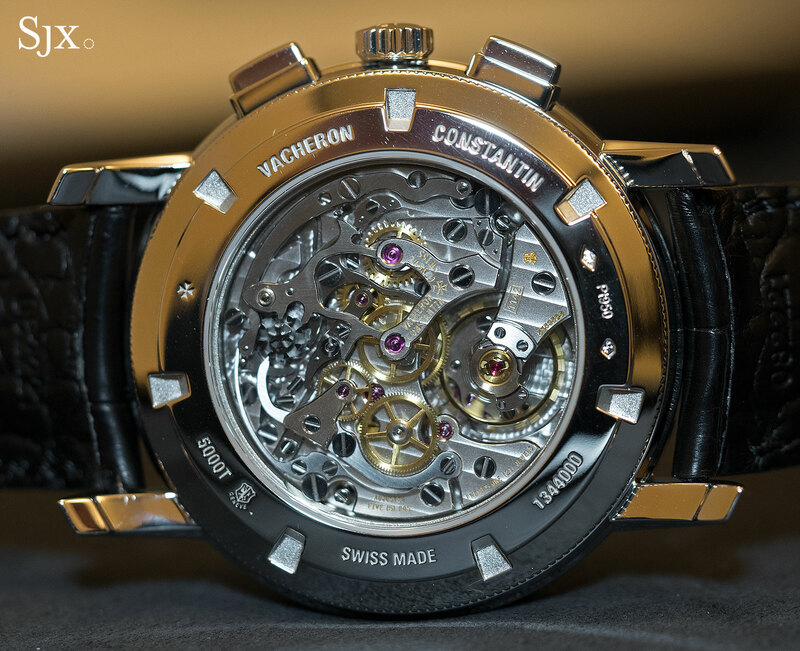 The calibre 2460 RT inside is based on Vacheron Constantin’s in-house automatic calibre 2460, with the addition of a module that indicates the orbit and rotation of the Earth. The first version of the watch has a grand feu enamel dial. Painted in miniature by hand, the dial is produced by Belgian enamel workshop J. 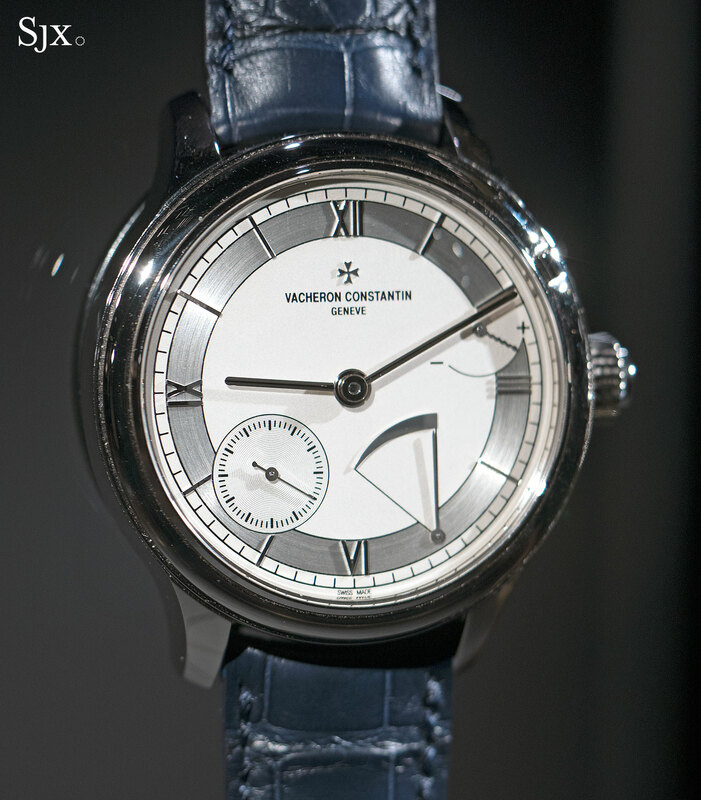 & L. Genbrugge, the same duo responsible for the enamel dials on the Vacheron Constantin Mercator and Tribute to Great Explorers. 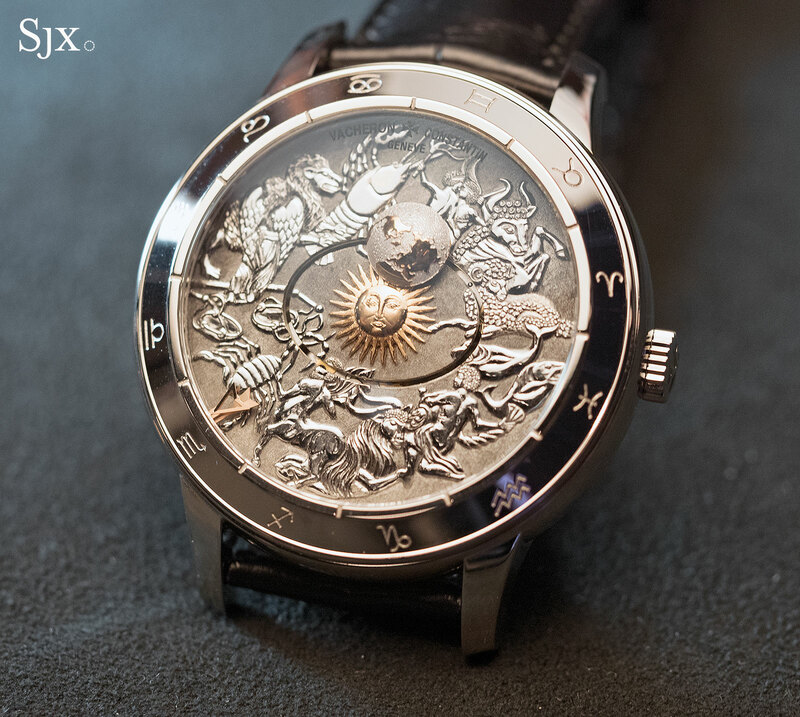 The second version has a hand-engraved dial made of 18k gold, depicting the 12 signs of the zodiac in relief. And the third version is arguably the most novel. 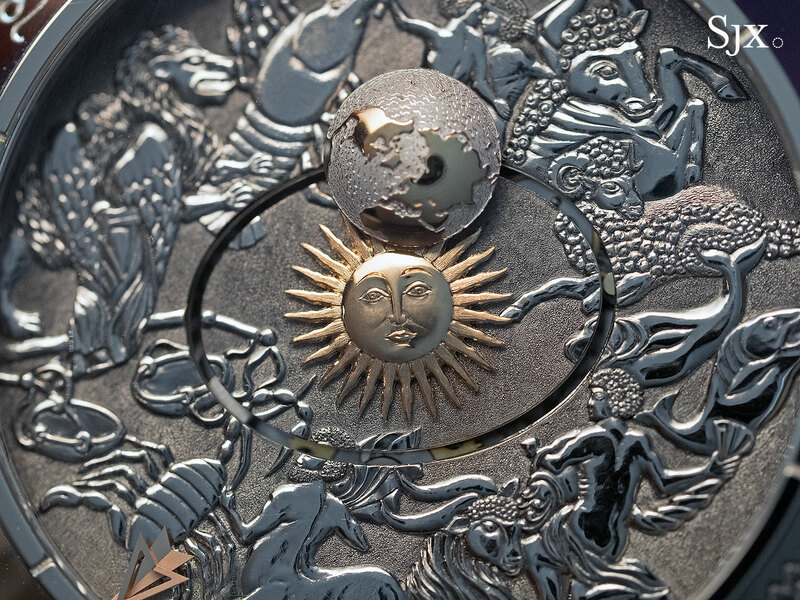 While the dial base is a dark blue, it is overlaid with a clear sapphire disc that has been engraved with the 12 zodiac signs on its underside. First engraved with a laser then finished by hand, the engravings are impressively fine. On the front of the sapphire disc constellations have been engaged and filled with Super-Luminova, leaving them luminescent at night. 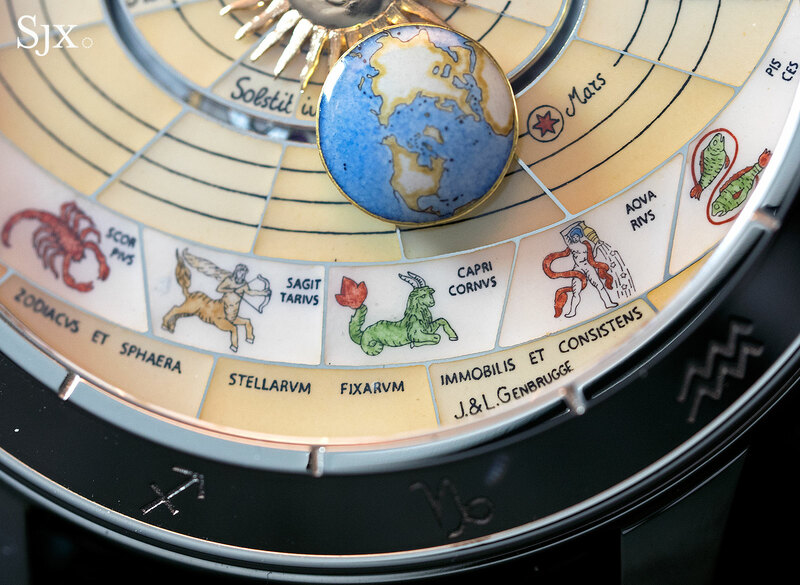 The Métiers d’Art Copernicus Celestial Spheres 2460 RT in grand feu enamel (ref. 7600U/000G-B212) costs SFr150,411 or S$214,200. The hand-engraved model (ref. 7600U/000G-B211) is SFr114,318 or S$162,800, while the engraved-sapphire version (ref. 7600U/000G-B226) is SFr102,310 or S$145,700. The Traditionnelle Minute Repeater Tourbillon is a more conventional combination of complications, equipped with the hand-wound calibre 2755 that has both a tourbillon regulator and minute repeater. 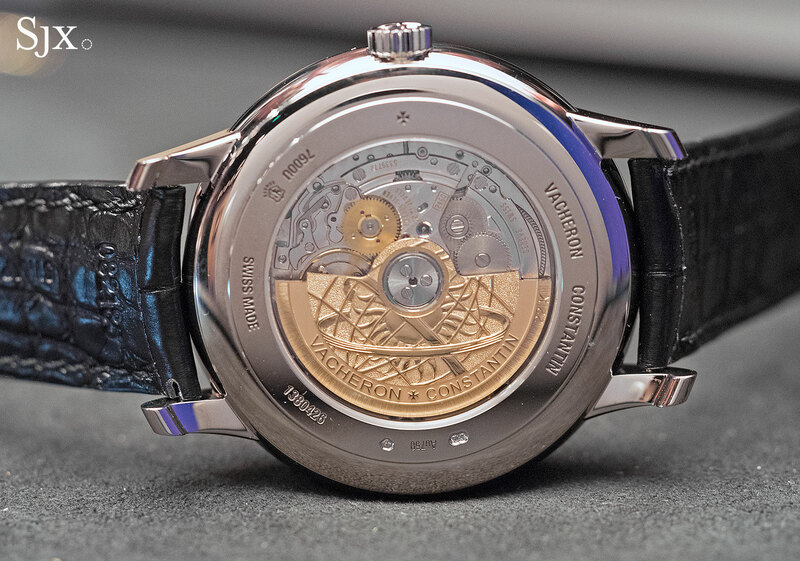 While most Vacheron Constantin watches, even highly complicated ones, have smooth dials, the Traditionnelle Minute Repeater Tourbillon has a guilloche dial. 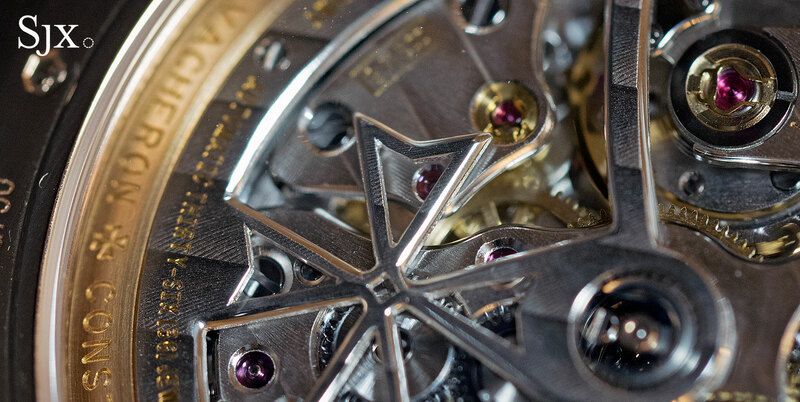 Done by hand with an old fashioned rose engine on a disc of 18k gold, the engine-turned decoration is found only on watches sold in the watchmaker’s own boutiques. 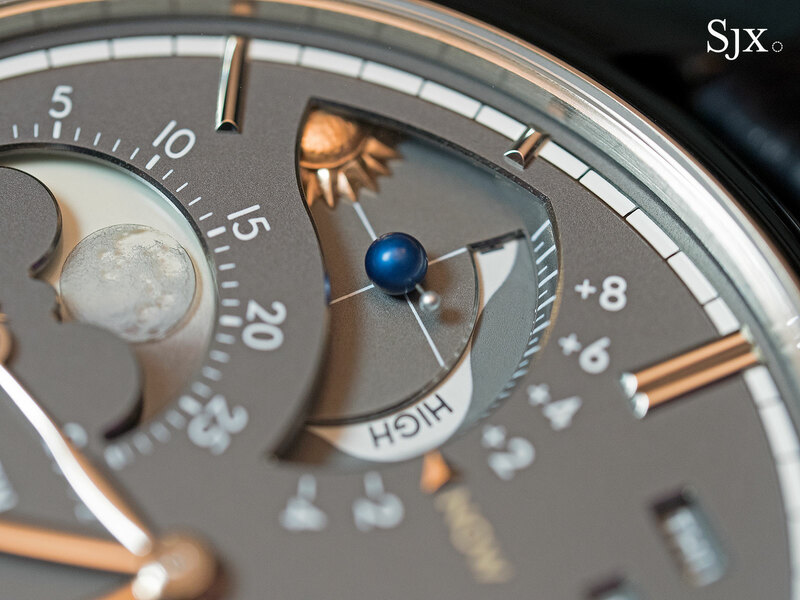 A variant of the calibre found in several top of the line watches, the 15-complication Astronomica for instance, the movement is a fine example of solid, high-end watchmaking. It’s also laid out in a manner that shows off the mechanics and finishing very well. 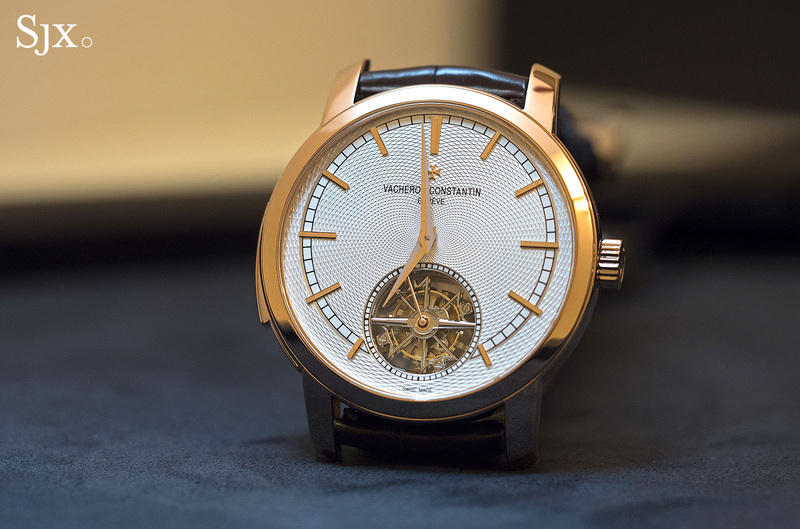 The Traditionnelle Minute Repeater Tourbillon in platinum (refs. 6500T/000P-9949 and 6500T/000P-B100) costs SFr589,496 or S$839,500, while in pink gold (ref. 6500T/000R-B324) the price tag is SFr529,318 or S$753,800. 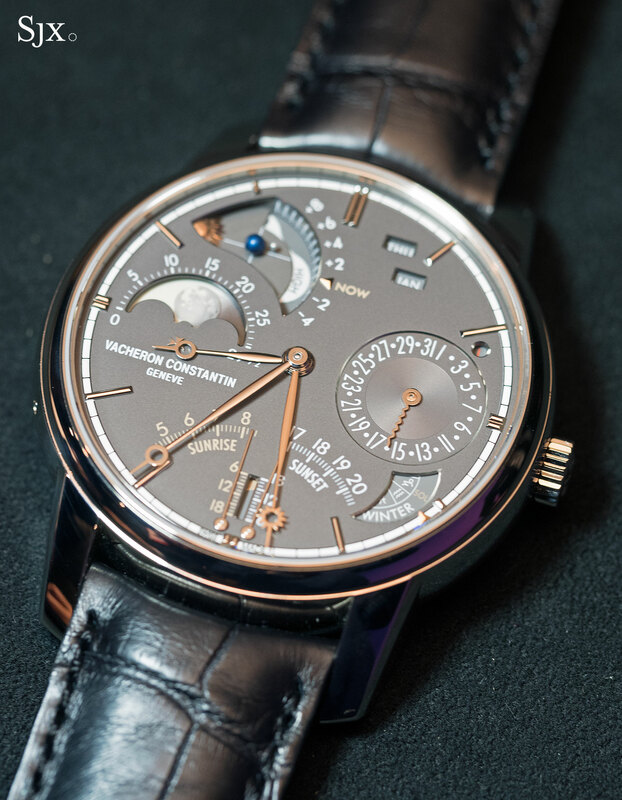 The Patrimony Moon Phase and Retrograde Date is a twist on an existing model. 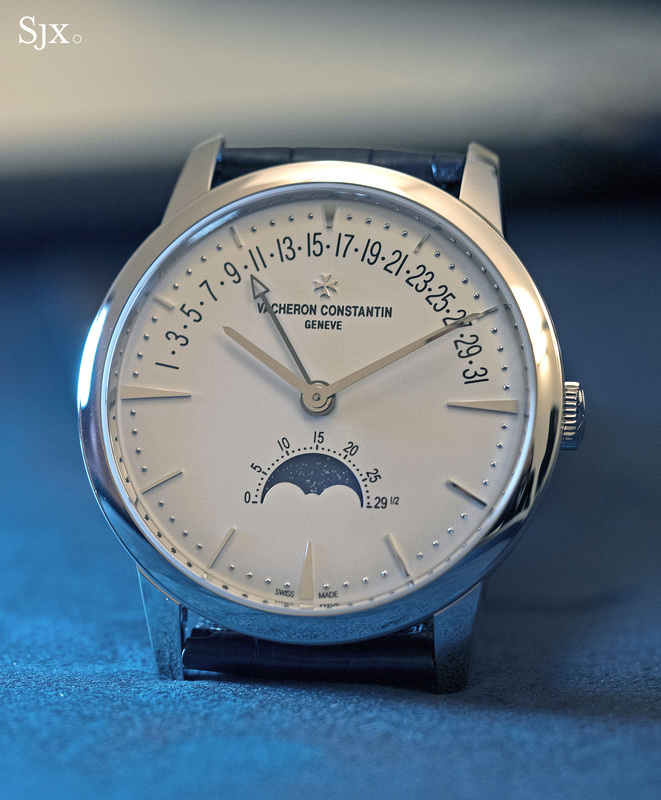 Instead of the day of the week at six o’clock, this has a less functional but arguably more appealing moon phase display, along with the date display on the top half of the dial. 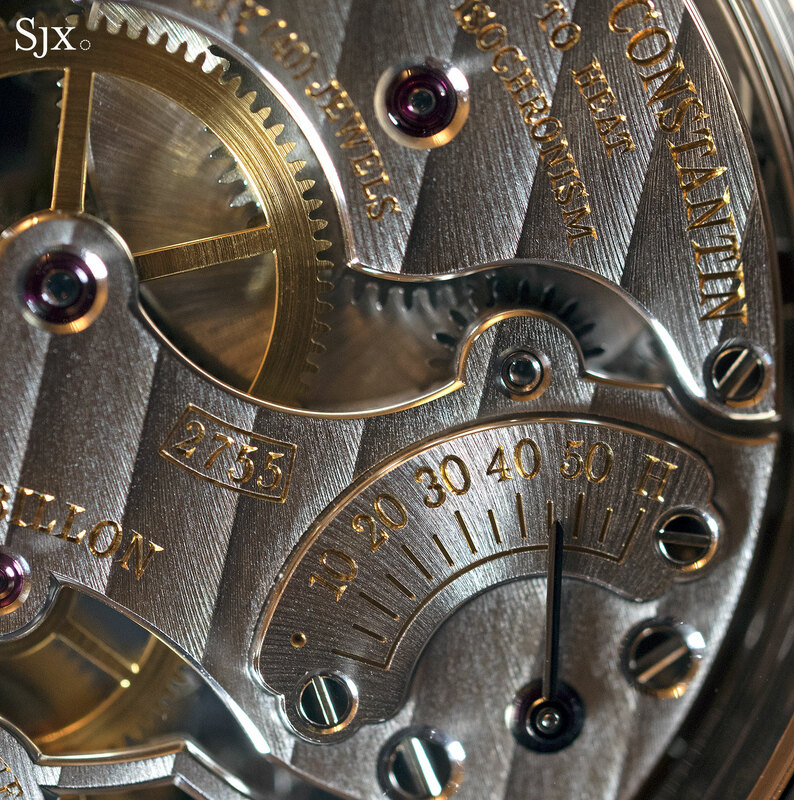 While the dial is simple, it is well detailed, including tiny gold spheres as minute markers. 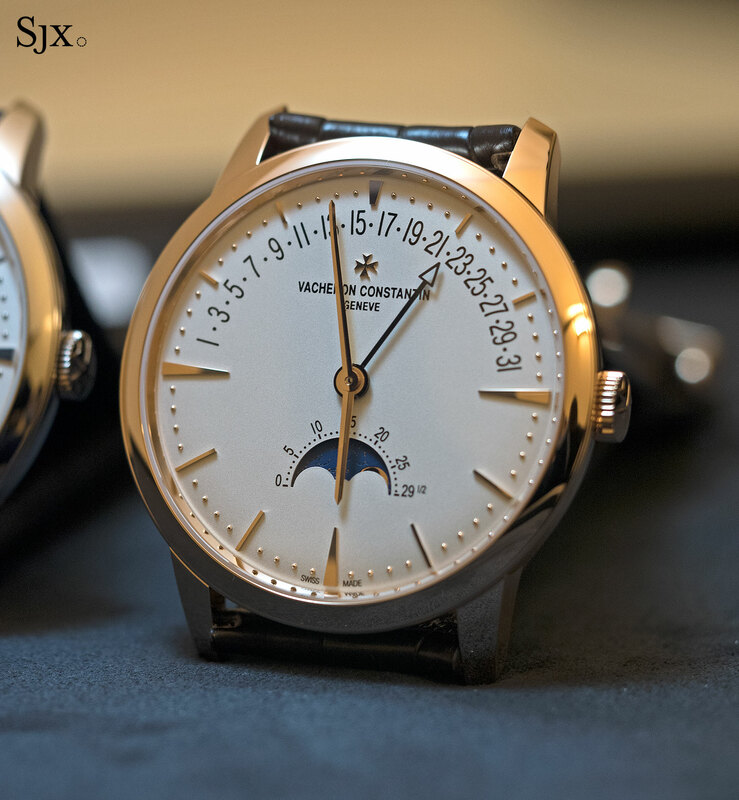 And the moon phase disc is solid gold, in the same colour as the case. 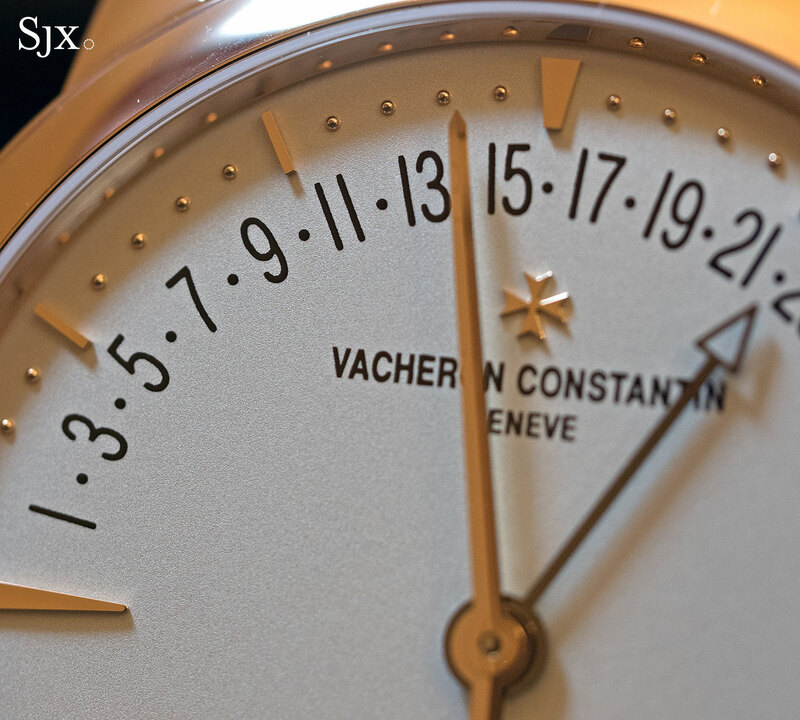 Notably, the indications on the dial are set via the crown, instead of pushers as on Vacheron Constantin’s other calendar watches. 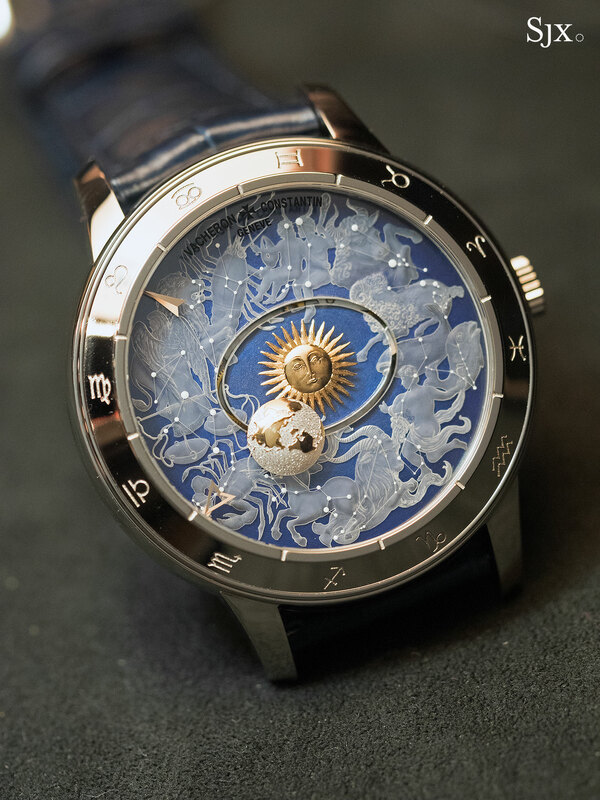 The case is 42.5mm in diameter. 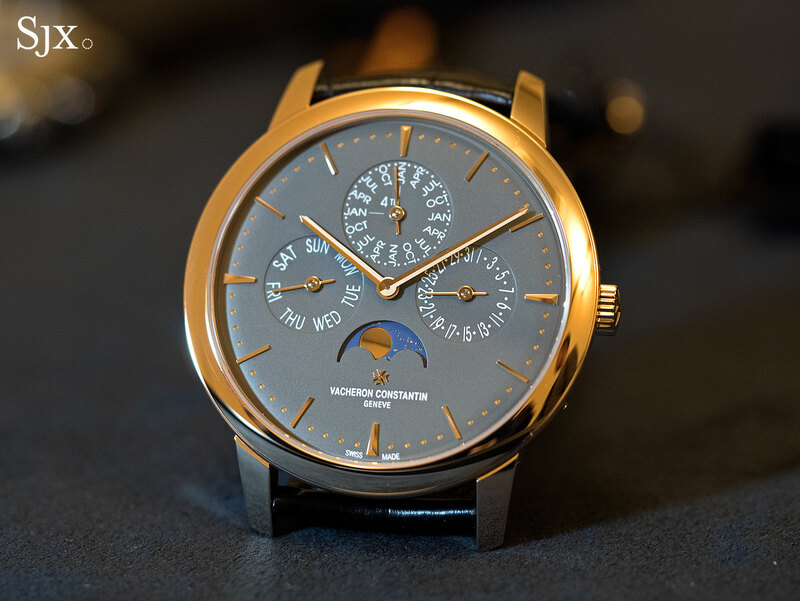 The Patrimony Moon Phase and Retrograde Date is available in pink gold (ref. 4010U/000R-B329) or white gold (ref. 4010U/000G-B330), both priced at SFr43,185 or S$61,500. 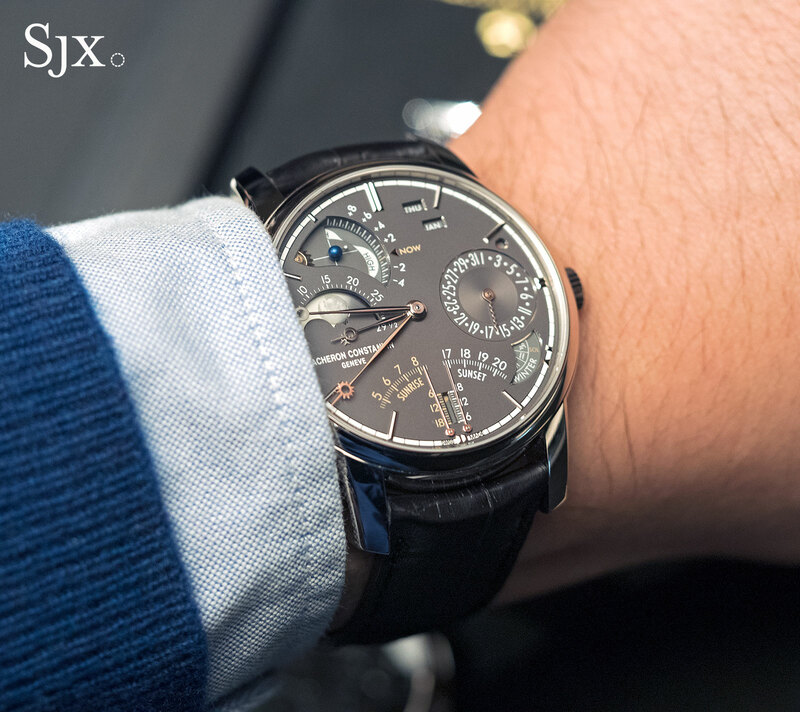 The Patrimony Perpetual Calendar is a new variant of an existing model. Previously offered only with a stately silver dial, the Patrimony Perpetual Calendar now has a dark grey dial, matched with a pink gold case. Dial aside, the watch remains the same, with a 41mm case and the slim calibre 1120 QP inside. It’s a sophisticated and thin movement developed by Jaeger-LeCoultre in the 1970s but now used by Audemars Piguet and Vacheron Constantin in their top of the line models; both firms now build the movement in-house. 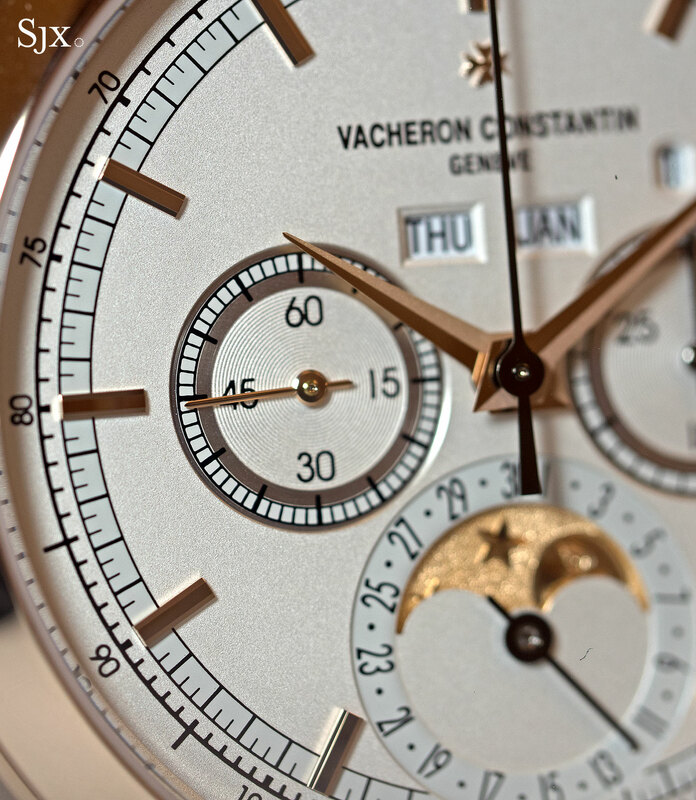 The Patrimony Perpetual Calendar in pink gold (ref. 43175/000R-B343) costs SFr82,087 or S$116,900. 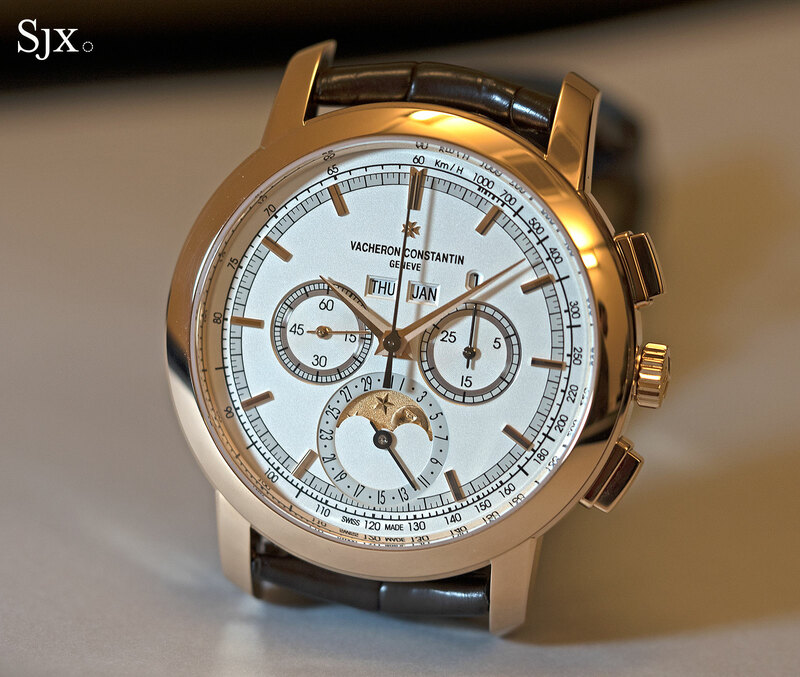 Also facelifted was the Traditionnelle Chronograph Perpetual Calendar, albeit in a very subtle manner. The key design change is the addition of a tachymetric scale, calibrated for one kilometre, to the outer edge of the dial. The rest of the dial remains largely the same, while the 43mm case and 1142 QP movement are identical to the earlier generation. 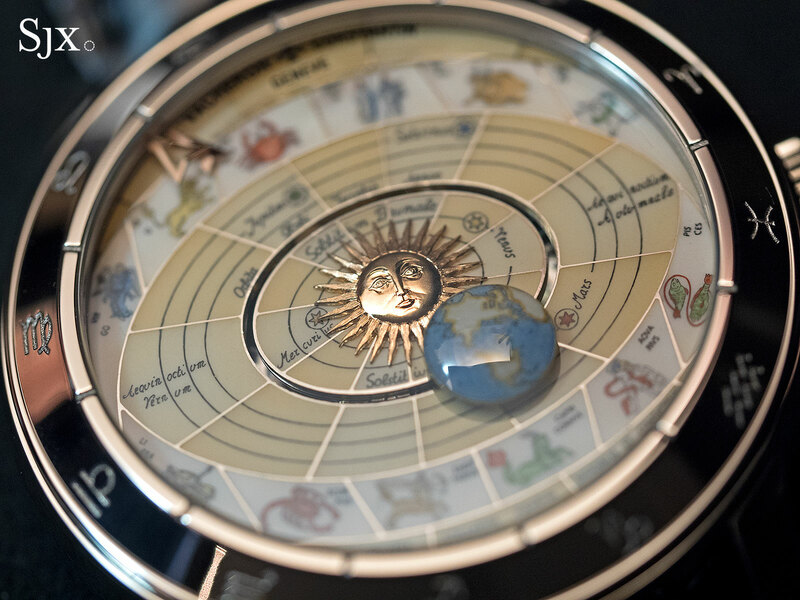 As is traditional for this model, the moon phase disc is solid gold and engraved with a smiling moon. The calibre 1142 QP inside is manually-wound and based on the Lemania calibre 2310, but with significant upgrades, including a free-sprung balance that oscillates at 21,600 beats per hour, instead of the usual 18,800bph. This is available in platinum with a grey dial, or pink gold with a silver dial. In platinum (ref. 5000T/000P-B048) it’ll cost SFr150,411 or S$214,200, and in pink gold (ref. 5000T/000R-B304) SFr120,357 or S$171,400. 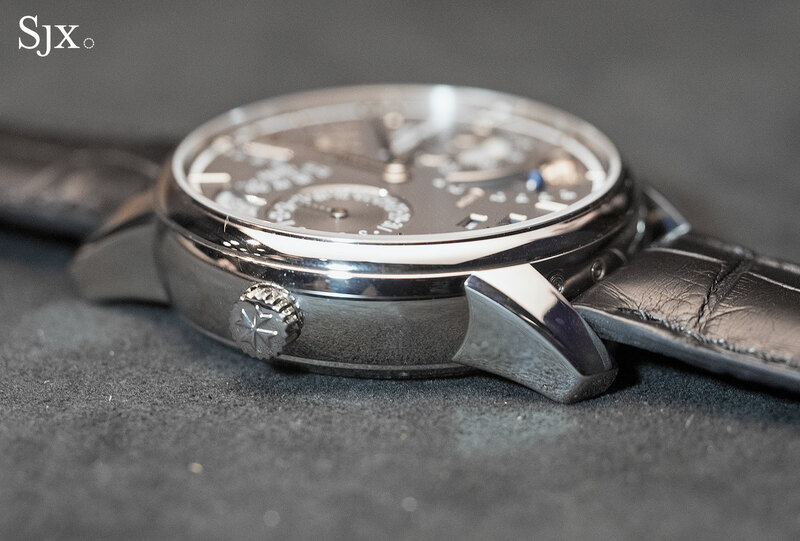 The Geneva watchmakers reveals two upcoming new models at extreme ends of the price spectrum. The Métiers d’Art Villes Lumières feature intricate hand-made dials that depict Geneva, Paris and New York from the air, after dark.